Okay, bare with me cause I have multiple questions within this subject. Tonight while I was in web service for my 8 channel ultimate mini, I wanted to experiment with a channel taking a snapshot upon motion and emailing me that event with the snapshot attachment. That worked, however the picture was almost all grey’d out except for a small portion on top- enough to tell me it took a photo, but 99% of the image was grey- blank. Trying different settings such as interval, quality, etc didn’t help the problem. Has this been reported before? My dvr was purchased in August last year and I believe the firmware is current, and as well, web service shows me the new interface. So I think I’m current in all respects. Can support set up this scenario and see how the picture attachment looks to confirm it’s just me or not? Next, I go into the search menu of my dvr. I was just curious where the snapshots are being saved in the dvr itself. So in search, I chose pic instead of record for playback. It showed channel 1 and 2 taking a snapshot every second. Of course now I’m a bit freaked out at this. So I go into my schedule settings and make sure to uncheck snapshot, which I think may have started this continual snapshot taking. 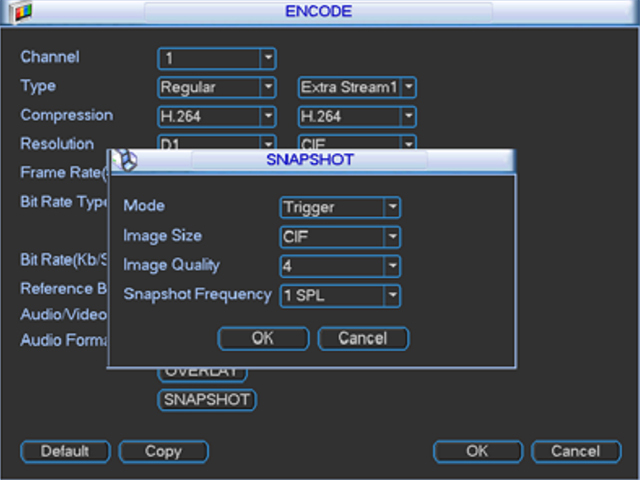 Then I go into my channels and make sure that within encode, snapshot is set to trigger and not timing. I also confirm that nothing is set to enable snapshots at all now. But when I go into the dvr and search for pictures again, it’s still taking 1 second interval snapshots! It’s like if I choose pics in the search menu, it starts the snapshot taking. Is that normal behavior? Are you getting that behavior on your end when you search for pics in the search menu of the dvr? Since you guys are the ‘kings’ of video demos, I’m asking please for you to do a specific demo on the snapshot process as it pertains to motion events and emails, what you receive in email and how that picture looks, and all settings as it pertains to setting up snapshots and what those settings mean and how they work. Also include searching pictures in the search menu in the dvr. I just cannot find any in-depth videos on this subject, nor does the manual explain what the settings do clearly enough. 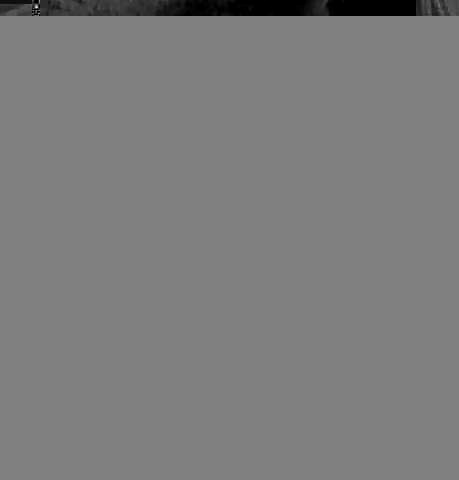 I want to say that has something to do with compression type of the image. Are you using analog cameras or IP cameras? I’m using an 8 channel Dvr and the camera is analog. As far as I can tell, searching for picture in the Dvr search menu, in real time and not for a previous time period, actually puts the Dvr in a snapshot mode with rate of interval being user selectable. Correct me if I’m wrong. There are three interfaces (physically at the DVR, PSS, WebService) and now there is a new firmware release which has a WebService that’s different and won’t work with PSS. If you get instructions, be sure they’re for your setup!! I can say that setting up email with snapshots requires much care. The DVR I bought last May cannot be configured for email snapshots remotely, because Comcast requires SSL connections and that checkbox is only present on the physical DVR (not in PSS) and now that I’ve loaded WebService for this year’s DVR I can’t connect to my old one that way. That worked for me. I think it’s all the places you need to touch. Let me know if it worked! I have no problem receiving motion emails. The picture attachment isn’t looking right though, which is the one problem at the moment- see above picture attachment. Aside from the picture being screwy, ever since I got into experimenting with snapshots in this 8 channel ultimate mini dvr, the scheduling of it is actually weird and different if you’re doing it in the dvr local interface, web service, or PSS. And without question as I see it now, if you search for picture instead of playback, you’ll start the dvr taking pictures. That has been my experience thus far. That is not a great behavior, in my opinion. I think the crew at SCK needs to work through the whole snapshot setup and try it on their end to see what they get, doing it with the local interface and seeing if what you customize there will be mirrored in webservice and PSS, and vice versa. And certainly search for picture seems to just start picture taking for some reason. In the local interface of the dvr, you can go into search, search for pic instead of record, and you’ll see the time line start populating with pictures. It’s a head scratcher for sure. I misunderstood your original post that motion snapshots weren’t working. Have you found a way to delay the snapshot, or does it always occur at the very start of the motion detect? I agree that a cookbook would be much appreciated, and it needs to address whether it is possible to do via each of the 3 interfaces… and now it appears that what works in each interface depends on which firmware you have, so perhaps there are 6 procedures! That’s a good question. There are settings but I am unclear about how to set how many snaps it takes, how you can adjust that, and especially if you can adjust a delay. And I still need to figure out why the picture is screwed up. You’re getting proper pictures for snapshots? The snapshot adjustment feature needs to be adjusted to get what you want. It operates a little different per firmware and device. I have increased the SPL to actually get less pictures in emails. Strange but that’s what it did, increase further and you get more snap shots. With IP cameras and NVR it can be beneficial to use cameras instead of NVR control as there is a delay in processing of about 4 seconds give or take depending on network lag. I would love to say just set these settings to those values and you will be good, but the reality is everybody’s environment is different. Lighting being the most difficult to reproduce. In many cases it is a test and see what works for you. Keep in mind what works during the day may not work as expected at night. Do you know what spl stands for? It’s actually called something different depending on the interface you’re adjusting it in. Knowing what that stands for could help understand what it does. I’ll keep noodling. I was told SPL stood for seconds between snapshots… but Daniel’s post indicates it’s the other way. Maybe snapshots per minute?? 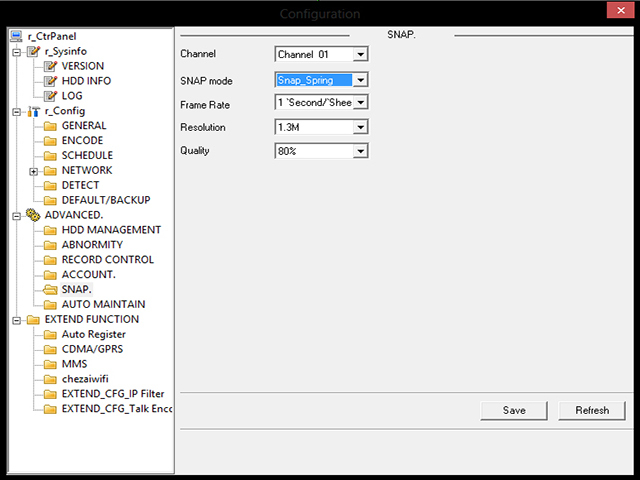 I’m trying Smart-PSS to solve another problem, and it shows mode/size/quality/interval on the snapshot page, with interval options of 1S through 7S on the same DVR which WebService says SPL is 1 through 60. PSS with a DVR purchased a year ago shows “Frame Rate”, not “Interval”, and the values are 1S/F through 60S/F. Go figure. Anyone reading know for sure?? Yes, I’m getting proper pictures for snapshots, at CIF or D1 resolution. I chose 5 out of 6 for quality. Any chance your email client is messing up the image files? Have you saved to disk instead of opening? I included an upload pic in my first post so yeah, that is a save to disk. I’ll have to keep trying and see if I hit the sweet spot with this. For sure I’d like a 2 or 3 second delay, or a 2 pic snap. 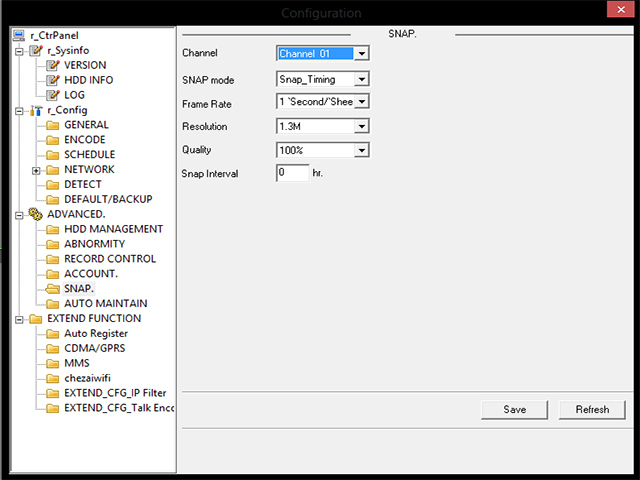 The SPL is the snapshot frequency it is the period that the DVR waits, in seconds, between each snapshot. Like Dan said there is a lag when you are going through a network. 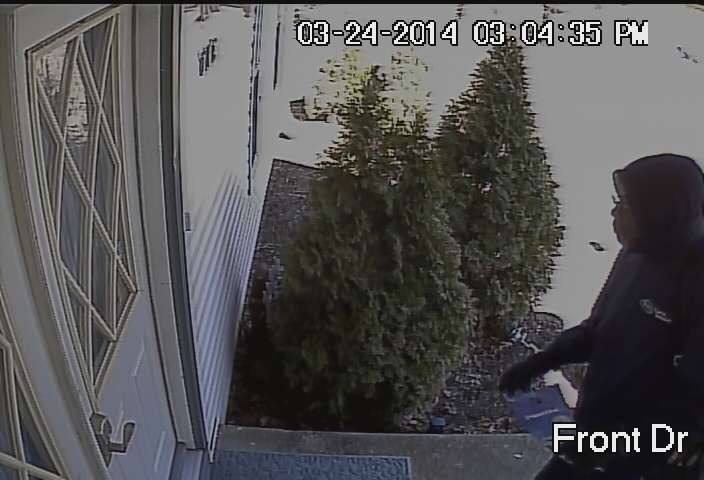 usually from 3-4 seconds on IP cameras. In the NVR’s and IP cameras this is called Snapshot Intervals. Every device is different. Hope this helps clarify things. I’m just not able to get a viewable picture, as much as I’ve fiddled. It attaches to the email, but it always looks like the above picture in my post. I know it’s not the email account doing it because I’ve received snapshot emails from other dvr systems and the pictures are fine. Not really sure why the picture can’t ‘develop’ properly. There’s always a small strip at the top of the picture and I can tell that it’s the channel and a picture starting, but the other 99% of the pic does not ‘develop’, for lack of a better term. Guess I’ll just concede defeat with this one. It may be worth passing on as a possible bug to dahua, specifically with the 8 channel ultimate mini drv. I can’t see how I have any settings wrong at this point. Tried every configuration with the same result. Maybe you guys can try and duplicate the problem with the exact same dvr and see. WOW, update- I got the pics to look proper. The fix was that I set my gmail account as the sender instead of my ISP’s email account. The pics come through perfect now. For my other account I had encypt set to none, so who knows if that would have cleared it up using that account. But no matter, I’m happy to use gmail and happier still it works! Woo hoo! In techproPSS just go into the schedule menu and for any channel in the snapshot section, enable regular. Not motion or alarm, but regular. That will start the channel taking snapshots at the rate you set them up in the snapshot menu, in schedule mode, not the trigger mode but the schedule mode. I did this in error when I was first working through this and I was freaking out because the channel was taking a snap a second full time and I could just see my hard drive filling up in half the time with a picture a second! I know this has been a long thread but maybe it will be informative for anyone looking to set this up. My final findings with snapshot email with motion detection is that the frequency you set the snapshots at has nothing really to do with the timing of your email picture. Getting a chance at the perfect shot for email attachment is really all about how you set your trigger region for the channel in the dvr. If your target [a person or car] can trigger motion before they’re really in front of the camera perfectly, you’ll likely get a snapshot picture email that doesn’t show anything useful, such as the person or car you’re looking to ID. Keep in mind that if you set pre record and post record, you don’t need as much detection region enabled as you might think. Narrowing down your trigger region will help greatly to get an email picture with the image showing you what you want to see. The frequency of the snapshots is just how many pictures you want taken of a motion or alarm event. For an analog dvr with no network lag, 1/SPL is one pic per second, which I think is too many. 3/SPL seems to be a good balance. Any longer, such as 6/SPL, and there will be 6 seconds between snaps and something could be missed. And while motion email with snapshot is okay, even more powerful is push notification with video. You set a 15, 30 or even 60 second clip length and you see the video of the event. That’s really unbeatable for remote notification. Thanks for posting. I read it, even if no one else does!! Before, I said “The DVR I bought last May cannot be configured for email snapshots remotely, because Comcast requires SSL connections and that checkbox is only present on the physical DVR (not in PSS).” I think you can use your ISP email account if you set up the port (Comcast won’t allow email on default port 25) and the encryption (SSL) properly while at the device. Your comments on timing the snapshot is spot-on. I gave up on motion snapshots, and instead chose to record the Extra (aka Assistant or Sub) stream. I download a whole day of that (much faster with smaller pixel count and frame rate) and use avisynth+virtualdub (very cool public domain software) to create time-lapses between 100x and 200x playback speed… and just watch things zip by. My motion snaps always have more false alarms than real detects because my cams are all outside. Bugs, headlights, tree shadows, etc. My reason for still wanting snapshots is that I’d like them to come to me via FTP, so I could assemble a time-lapse that way *AND* so I’d have an off-site record of the DVR gets stolen. (It’s in a steel NEMA box 20′ up the side of a building 10 miles from here, so loading images onto a USB drive from the DVR itself isn’t going to work.) The installation is hardened with rigid conduit for wiring and a battery power supply, but someone like me could make off with the DVR in 10 minutes if they really wanted to. So how do you get your snapshots where you can use them? Sounds like you’re saving them on the DVR disk, not on a PC or FTP server. If I search by picture in techpro PSS, opening up the pictures actually auto saves them to the custom directory I made on my c-drive. If not, they remain on the Dvr hard drive and I would guess they are overwritten eventually. So for important incidents it’s important to backup pictures and video evidence as usual. I’m only doing this with one channel, my front door. It’s an exterior camera and is subjected to false trigger, however I have eliminated almost all false triggers with careful region setup. You can also use PIR’s, which would cut out most if not all nuisance exterior triggers. Also the new Web service for my ultimate mini gives all the email fields needed to set up your email account just as if you’re at the Dvr. From memory, I don’t believe pss does as it is missing the encryption field. But what I find to be the best notifications is push. A video clip can’t be beat.